My sister read 76 books last year. If I’m going to try and keep up with that I’m going to have to read a lot short books. 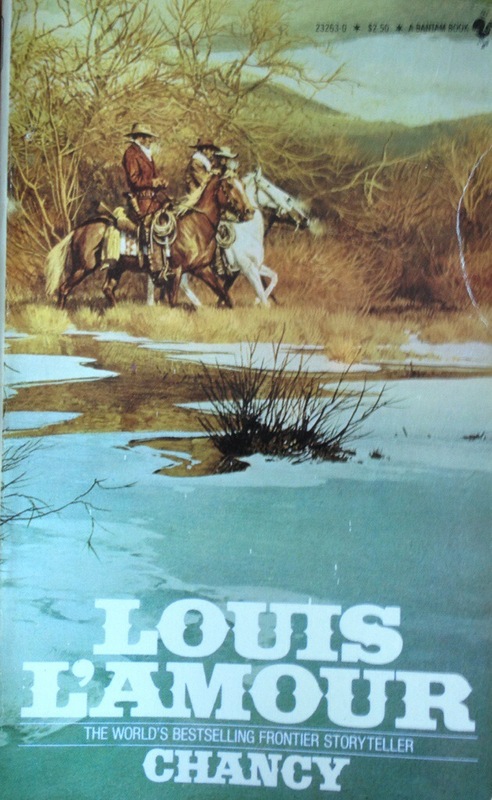 A good way to do that is to read classic, pop-westerns by the authors like Louis L’Amour. The man can pack a great story into less than 200 pages. This was one of those. Like many L’Amour stories, this is about one man standing tall in the American West, which is why so man of them are simply titled with the last name of the main character. I like the straightforwardness and simplicity of it all – this is about a guy named Chancy! Chancy is leading a classic cattle drive from Texas to Wyoming with villains on multiple fronts. He deals with them using mostly his Winchester rifle slung over his shoulder, which is a little non-standard because the Colt six-shooter sort of dominates stories of the American West. He has the help of many friends and acquaintances who are mostly stock characters from Westerns, but it’s only 164 pages so L’Amour can’t develop them too much. When you go sub-200 pages, you have to make a lot of leaps as a writer. L’Amour did that in this book when Chancy’s childhood nemesis from Tennessee shows up in Wyoming rather abruptly. Within a few pages Chancy steals his fiance then beats up his right-hand man/thug. It worked okay given the length. I’ll keep grabbing these from Open Books, but they’re hard to find. I think I need to go more often. Posted in books, tagged pop-fiction, western on 2014/01/02 by John.